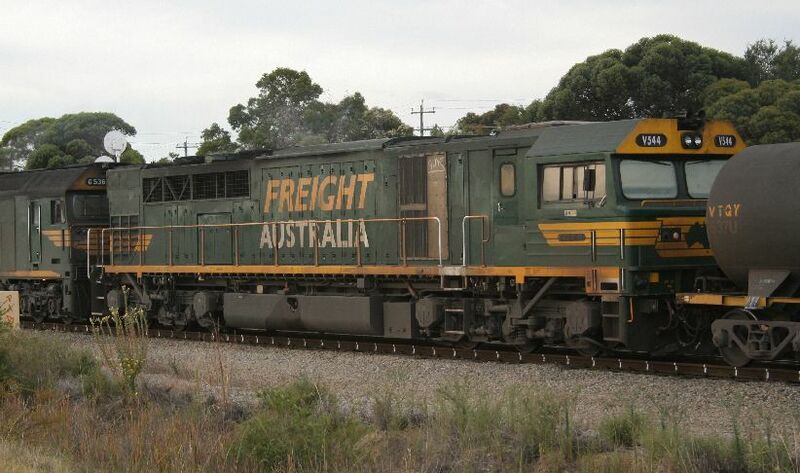 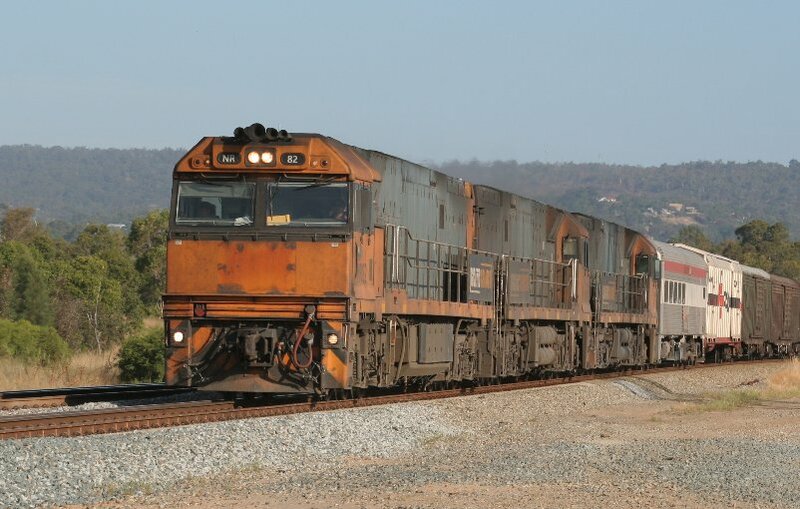 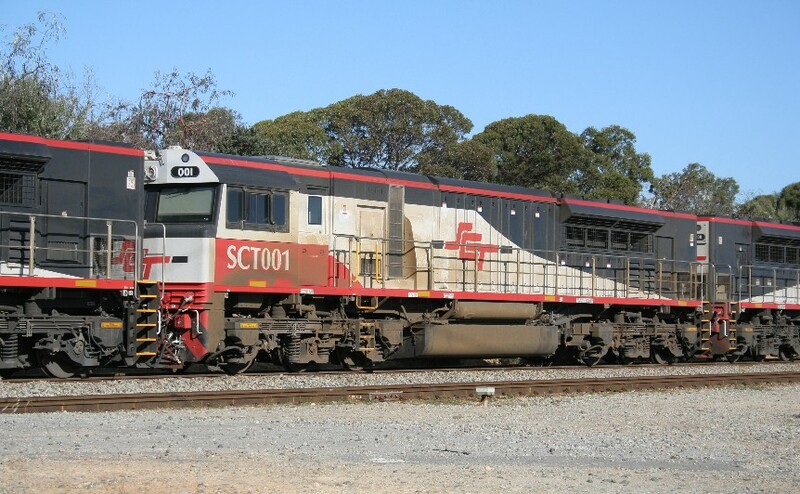 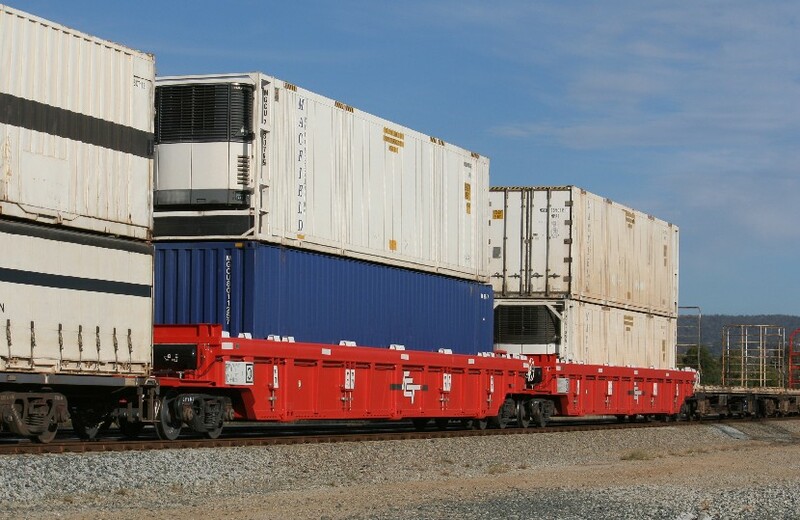 Photos of Specialised Container Tranport (SCT) locomotives and rolling stock (including other operators locomotives when hauling SCT trains). 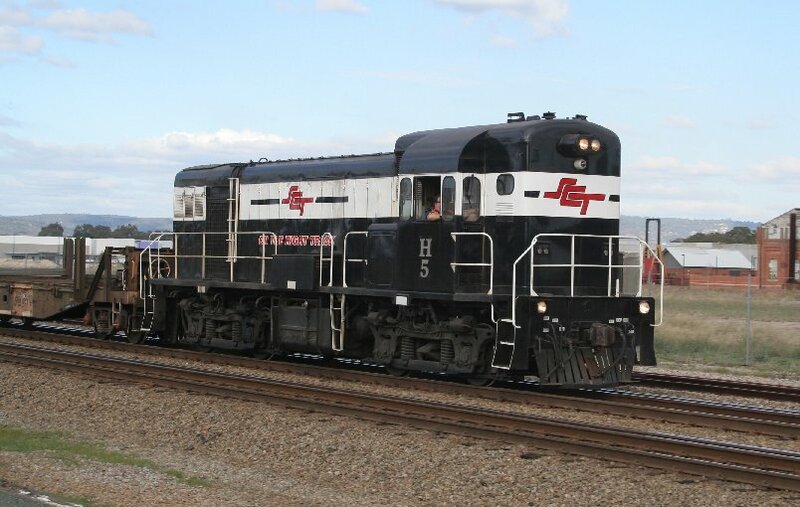 Where available, click on the 'Listen to Horn' link to hear a recording of that locomotive's horn. 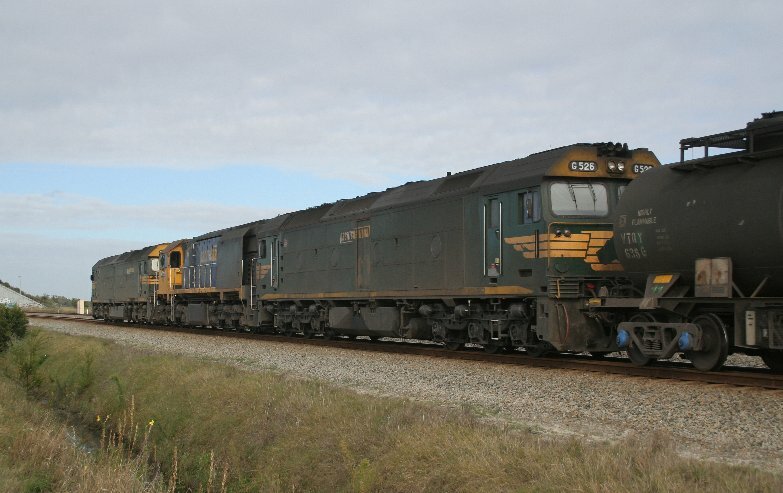 Newest photos are added at the bottom of the page. 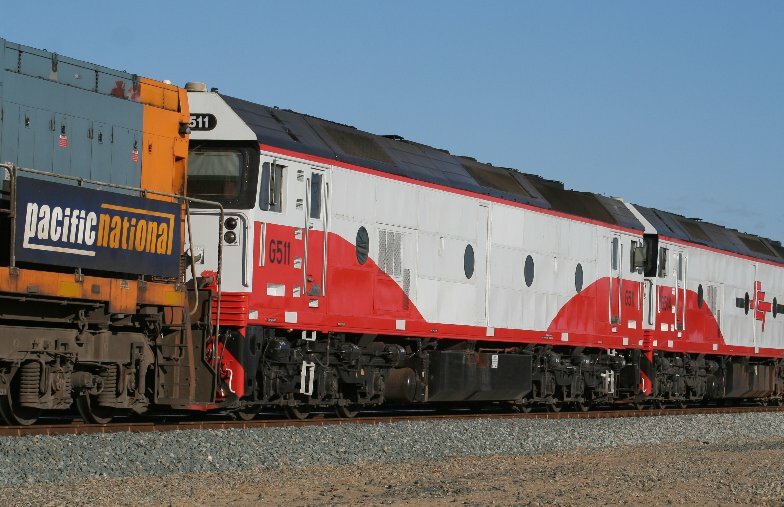 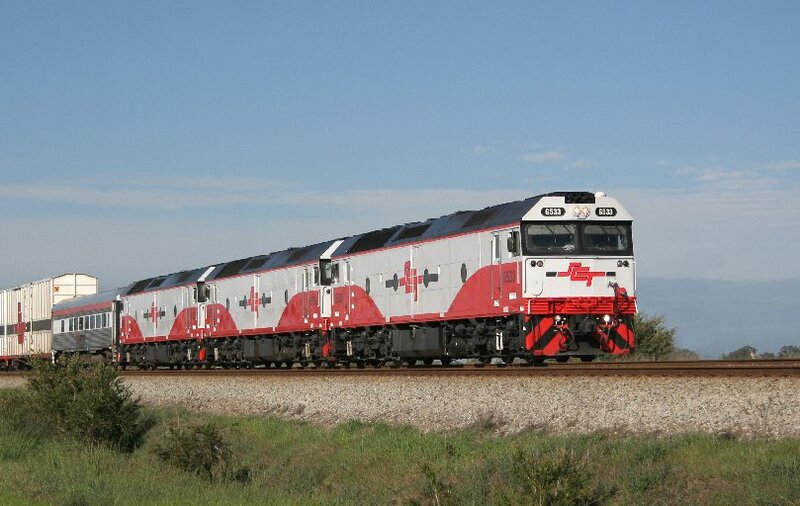 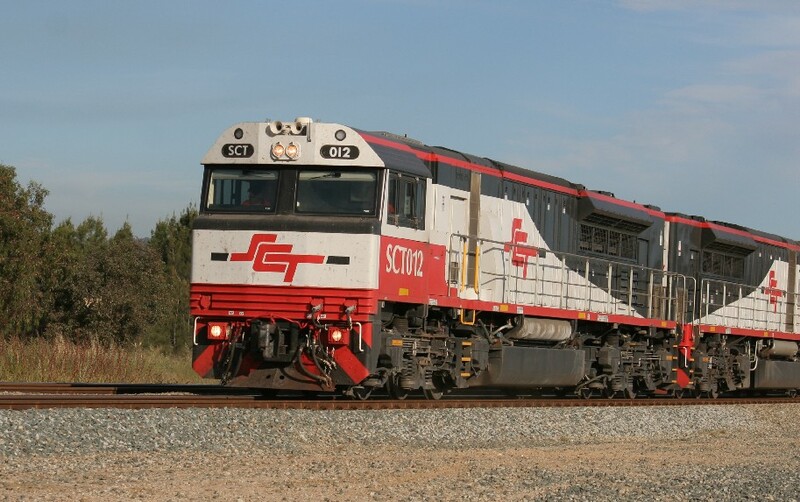 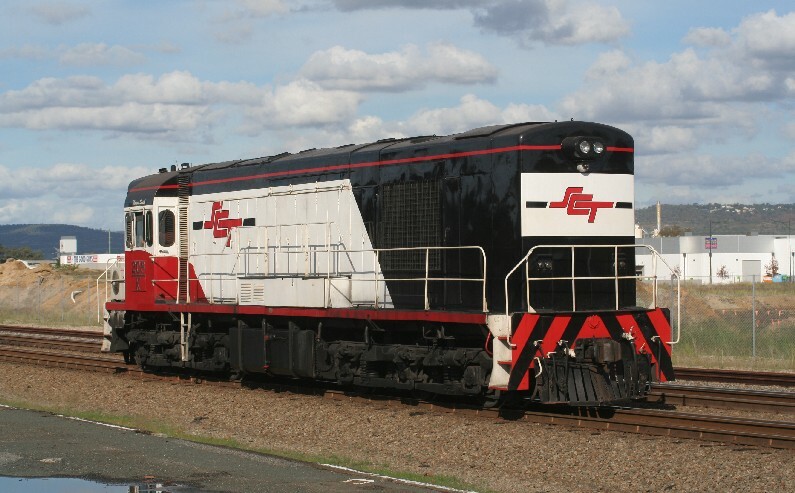 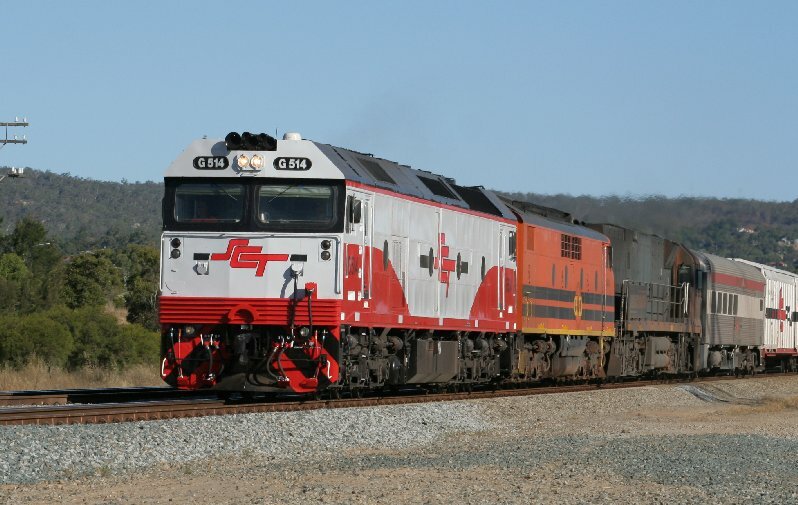 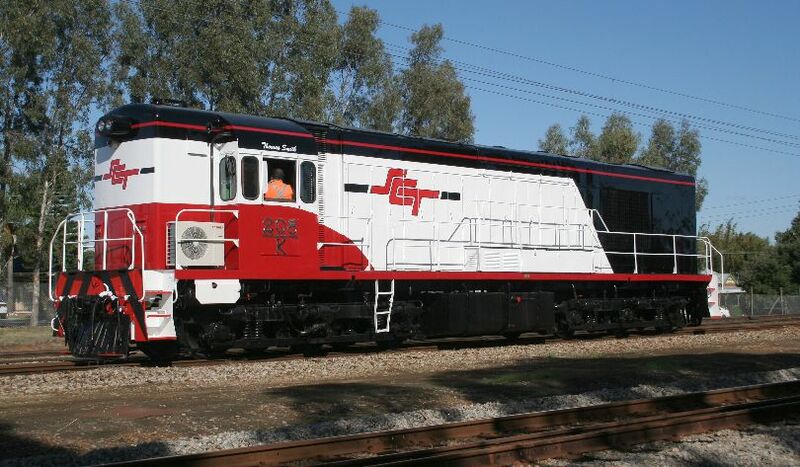 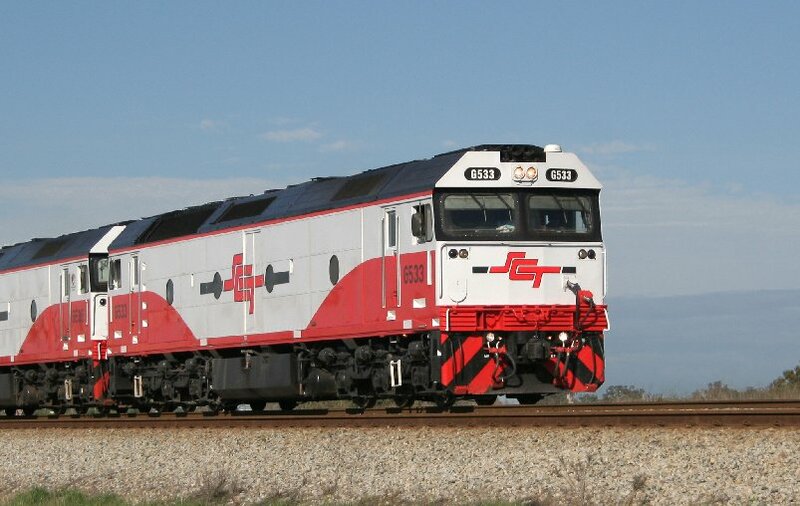 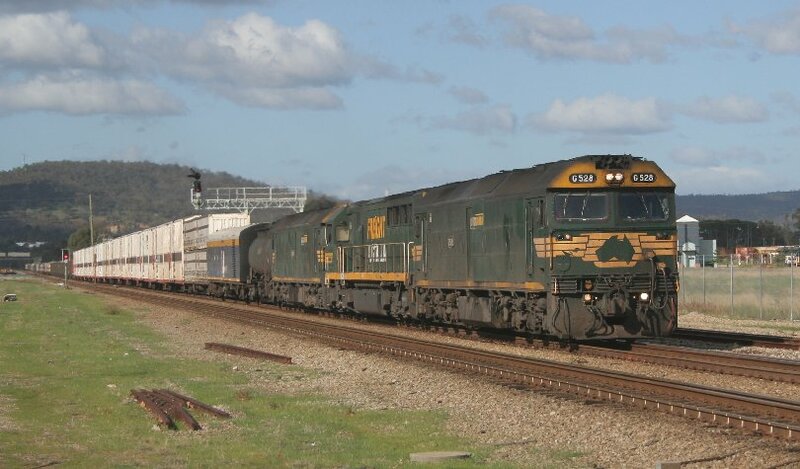 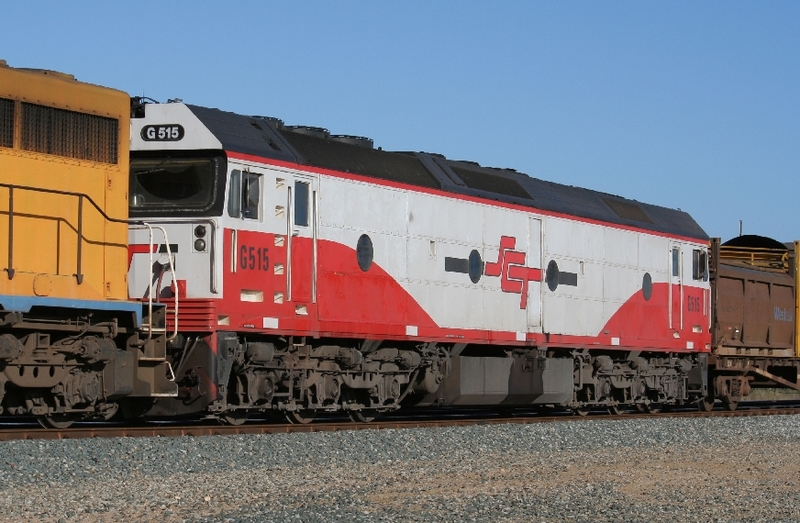 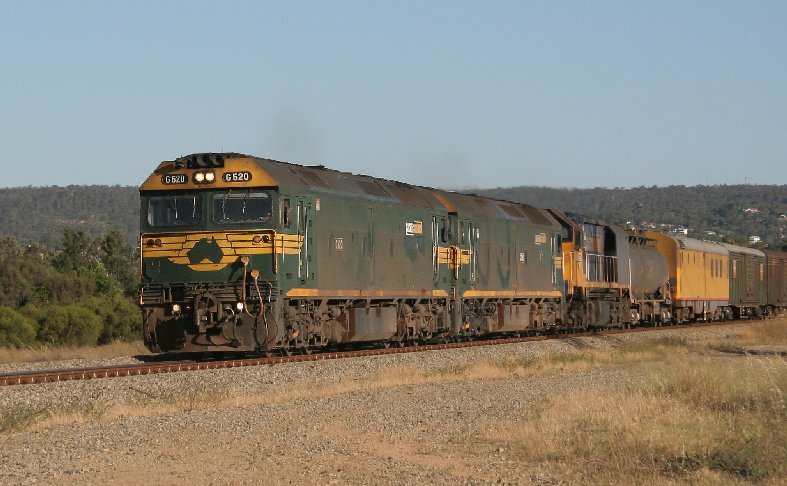 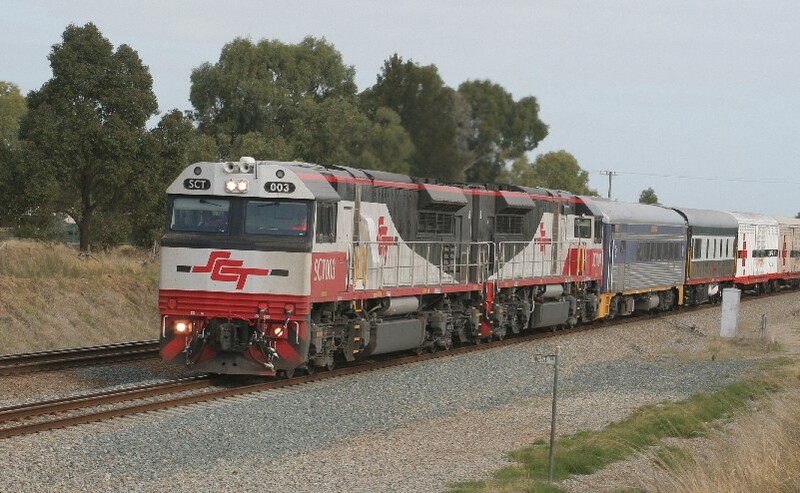 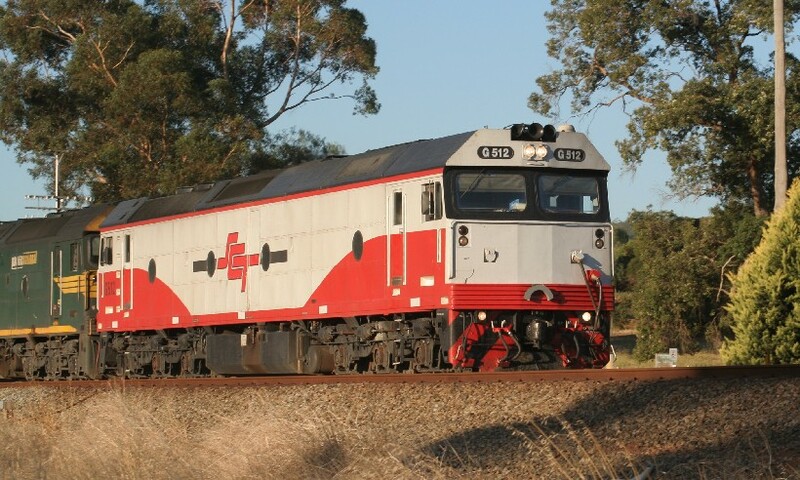 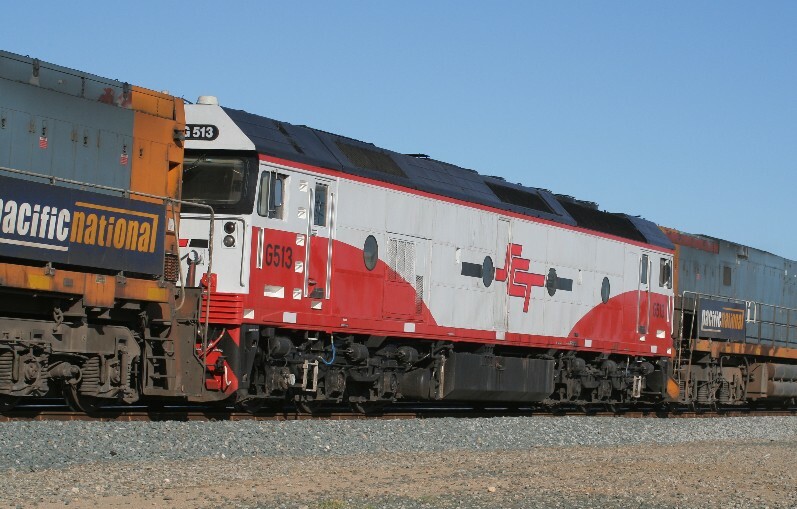 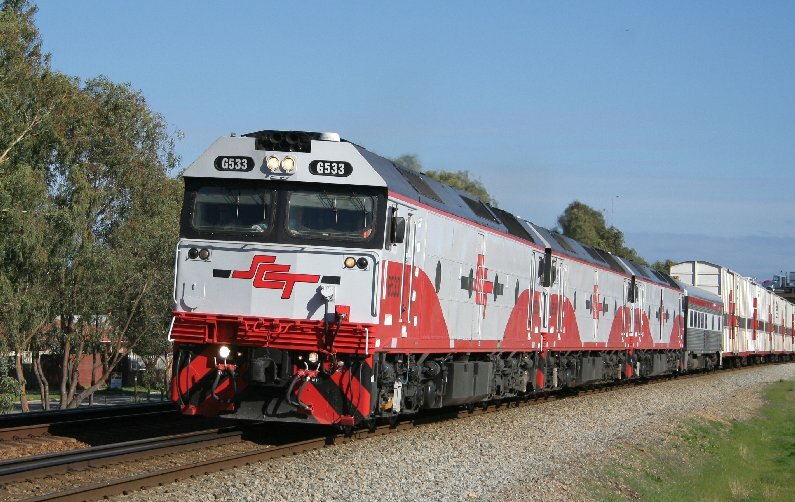 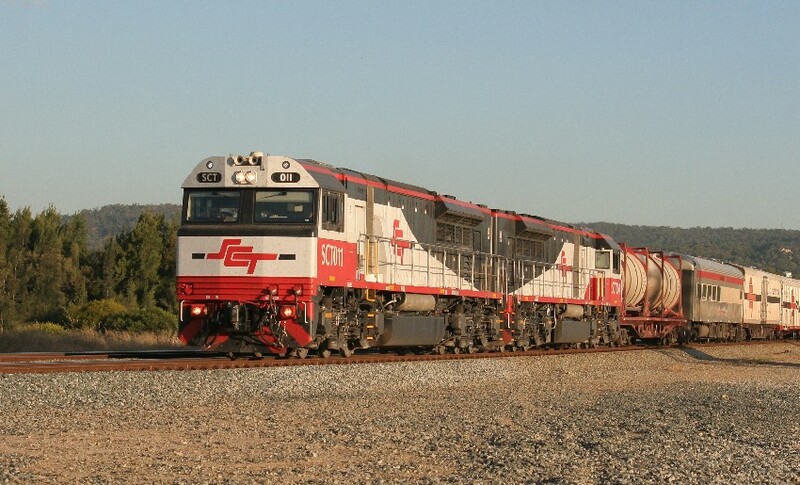 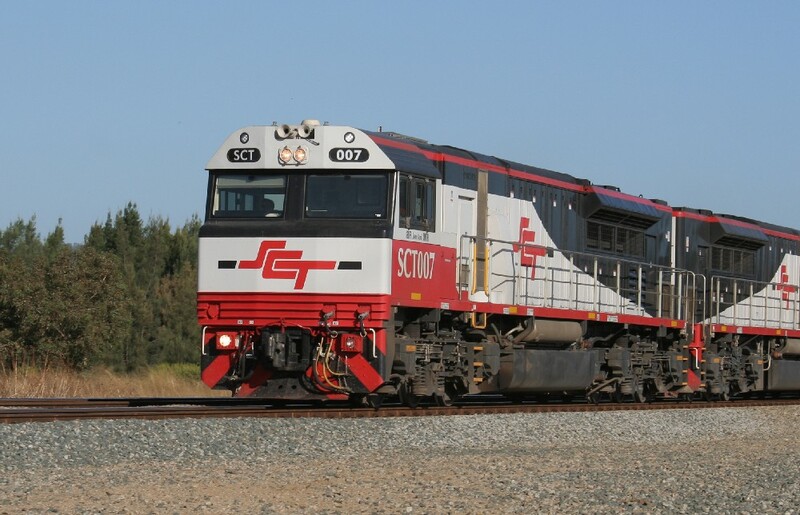 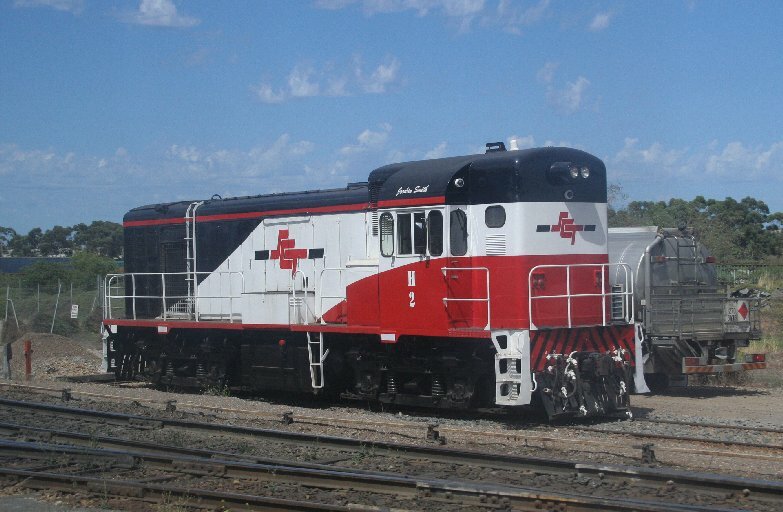 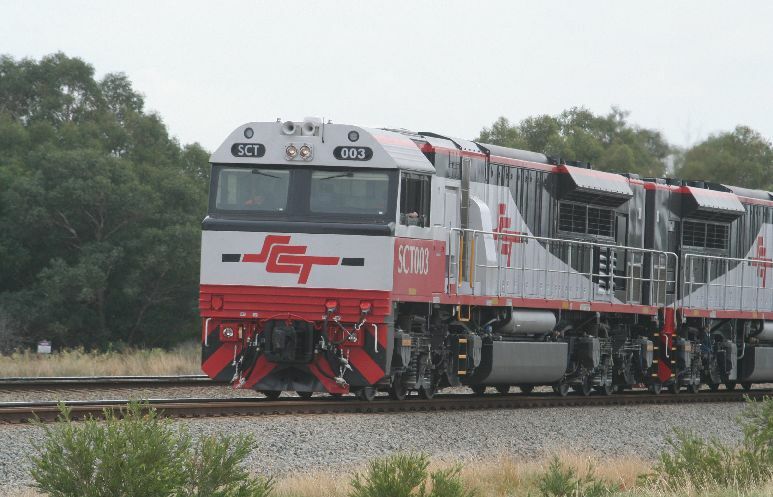 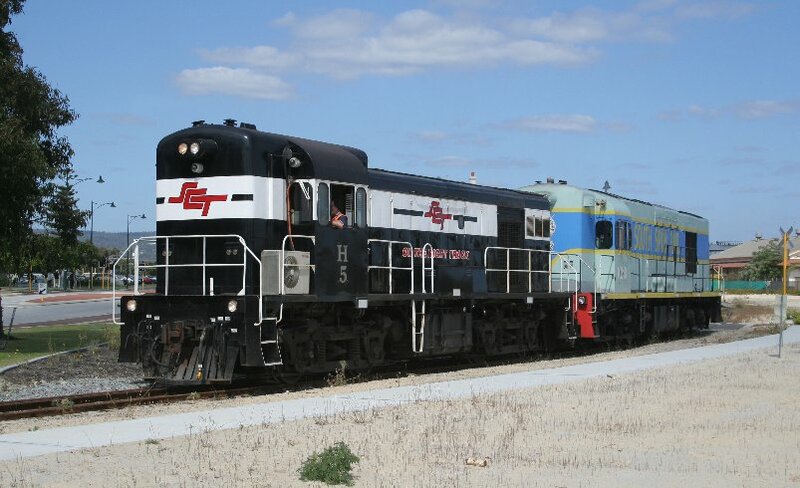 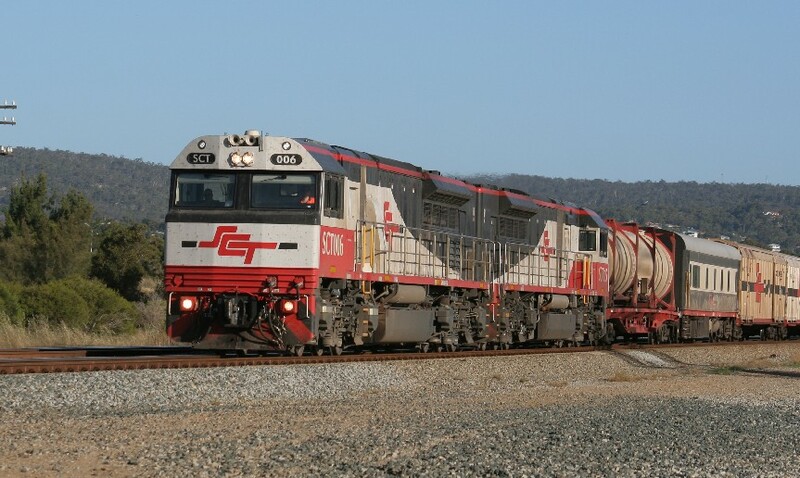 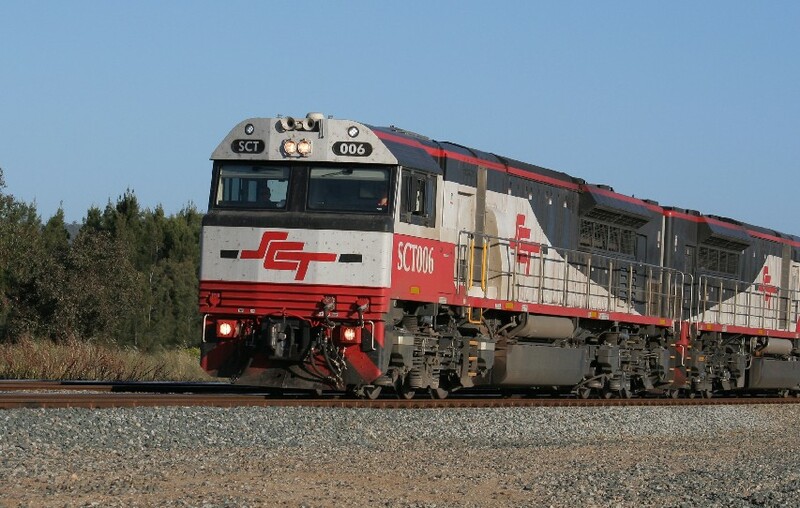 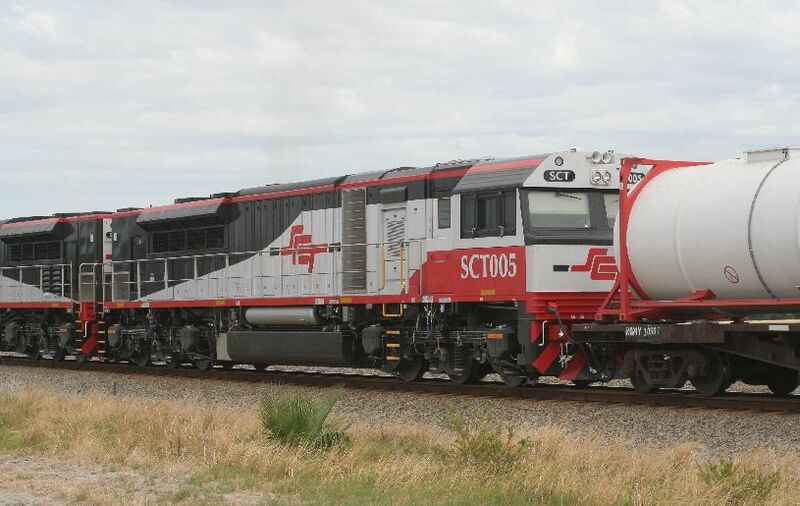 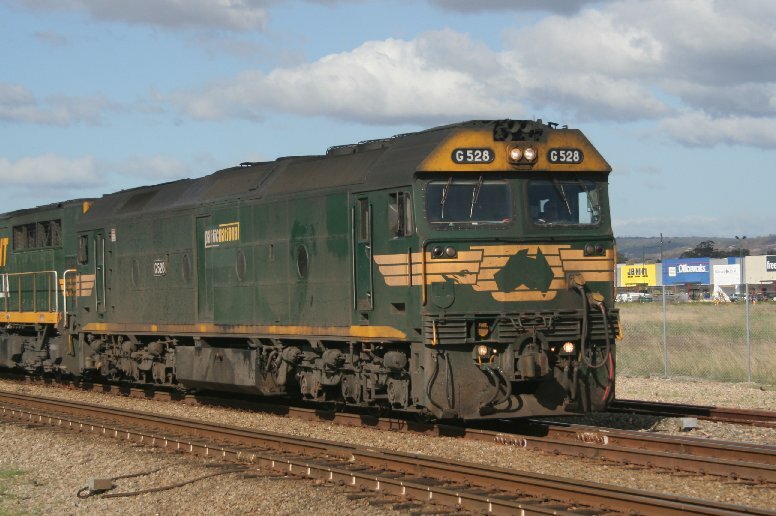 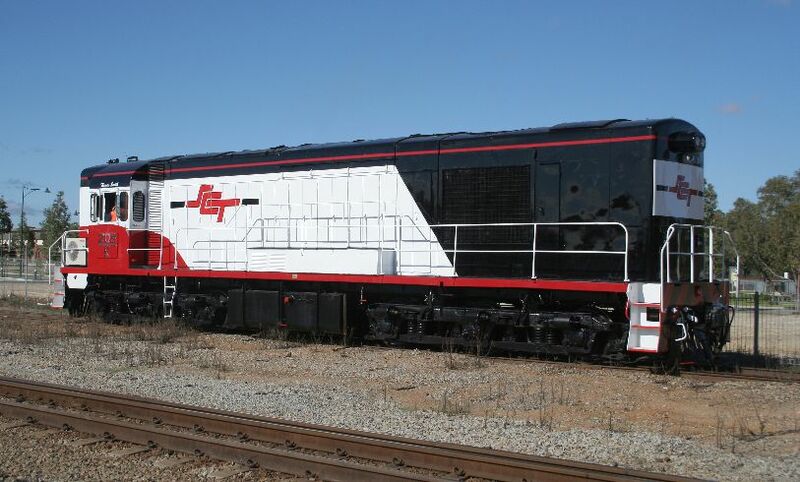 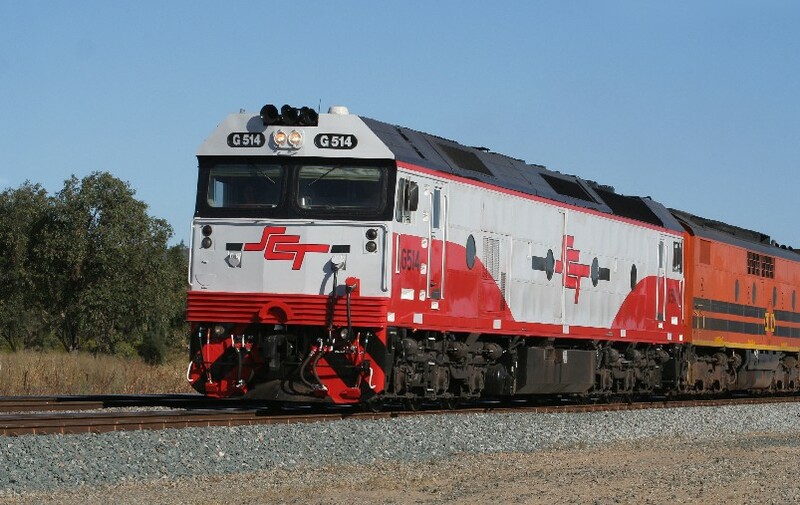 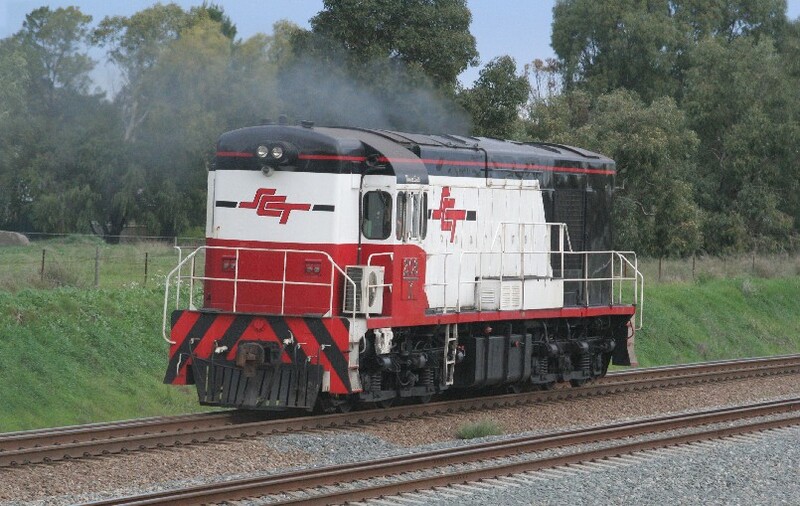 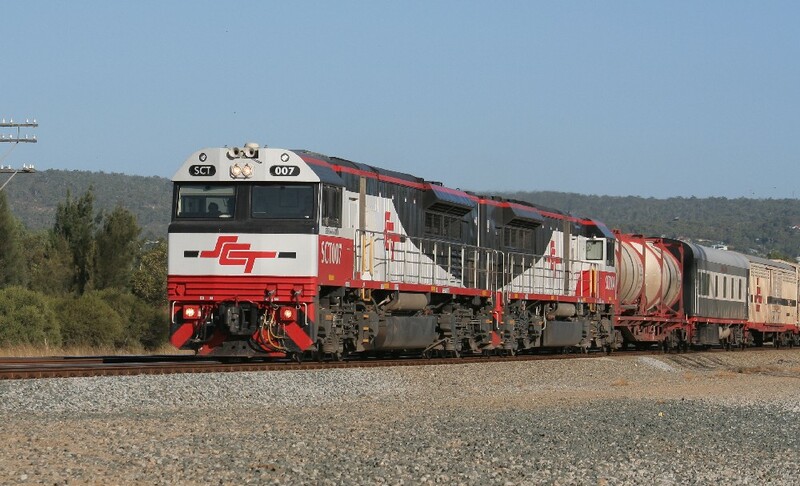 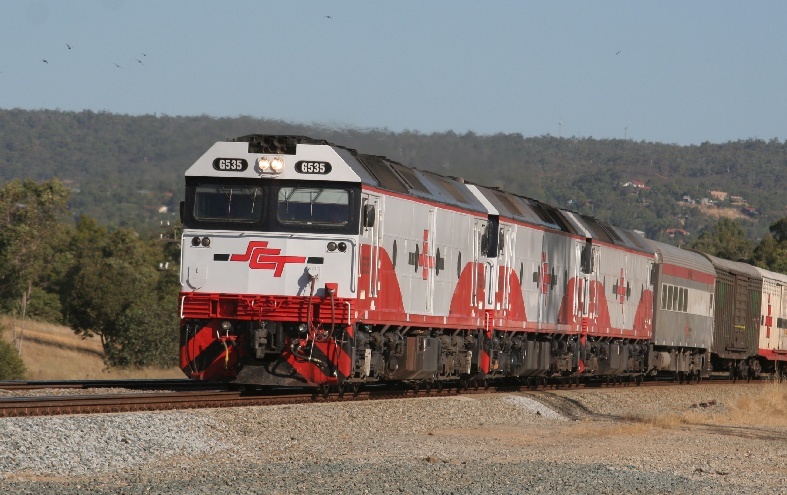 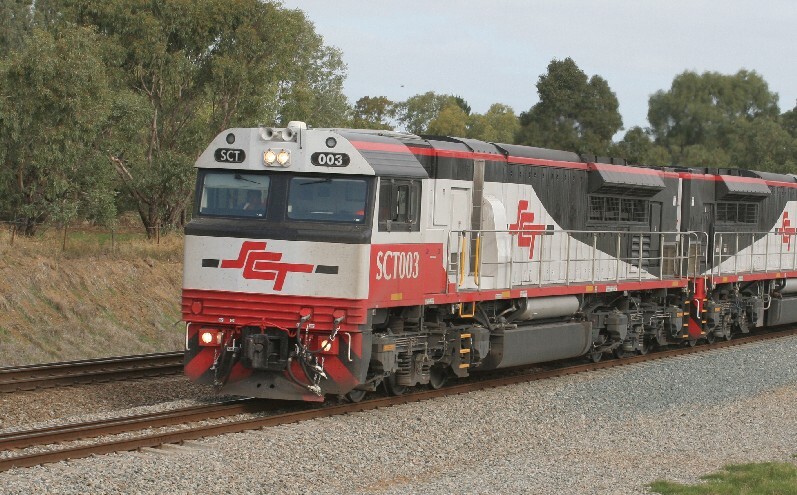 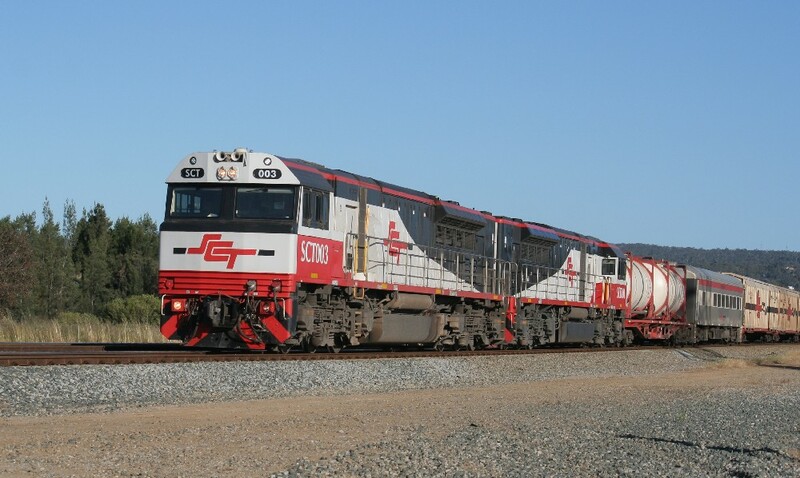 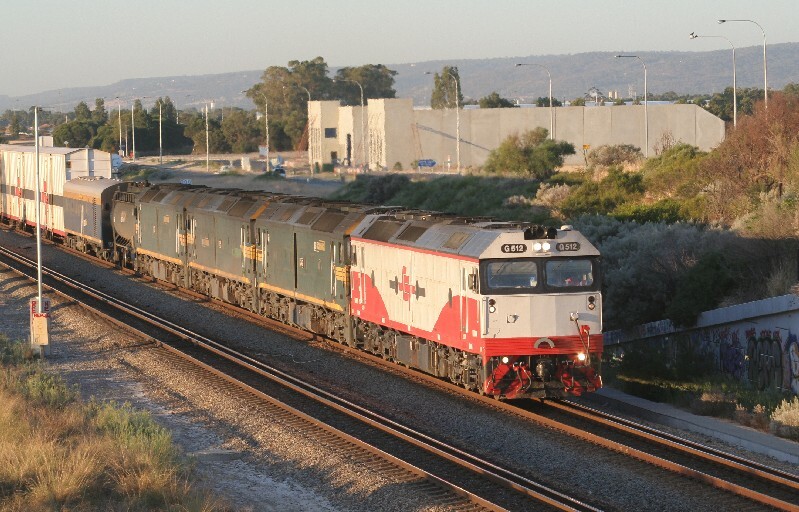 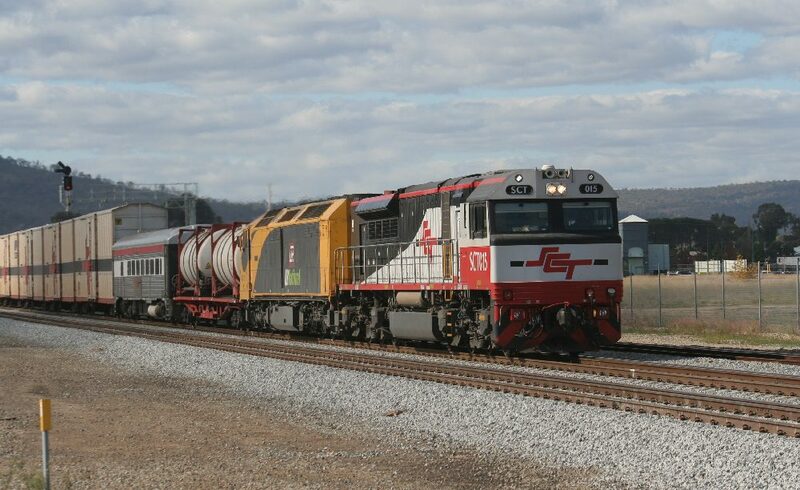 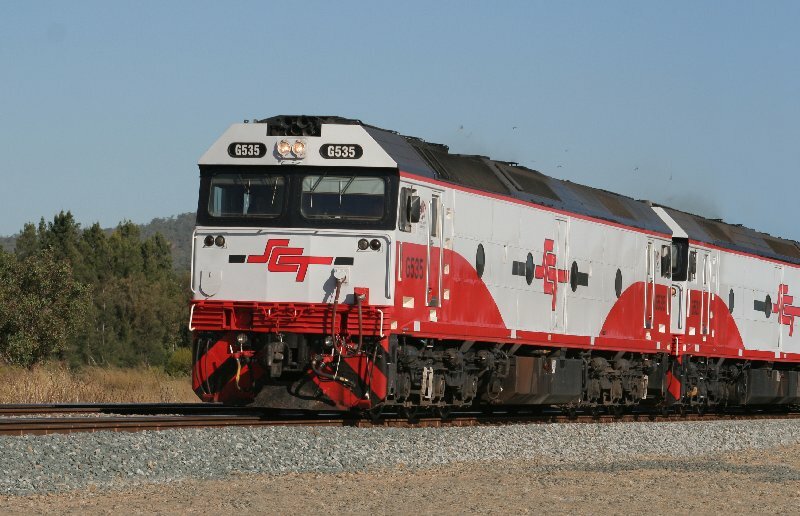 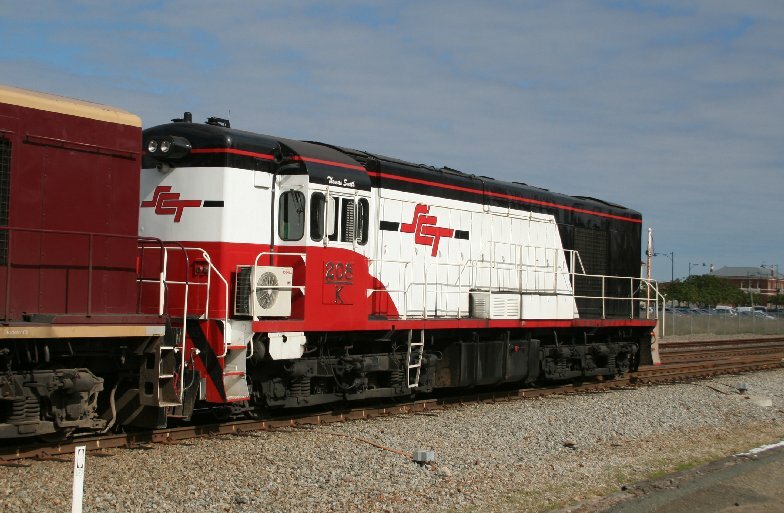 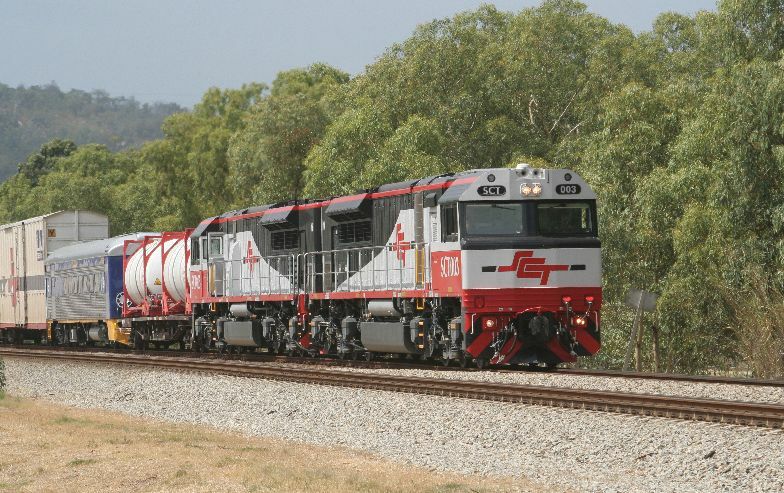 G533/G535/G532 in fresh SCT livery on PG1 departing Forrestfield. 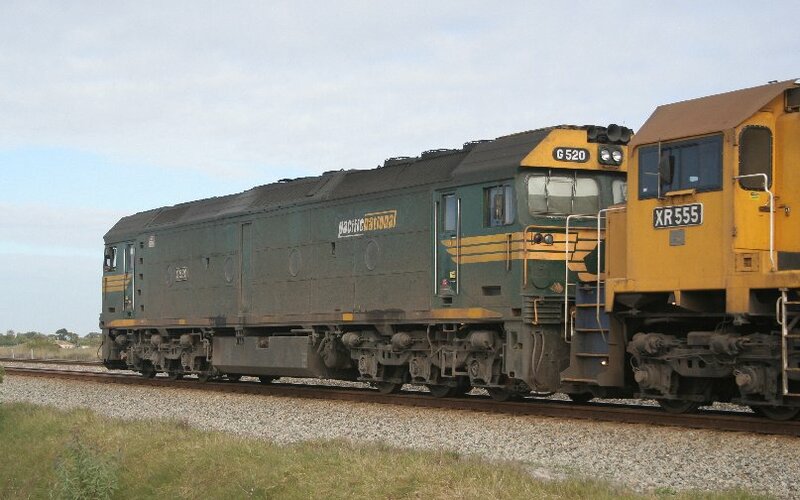 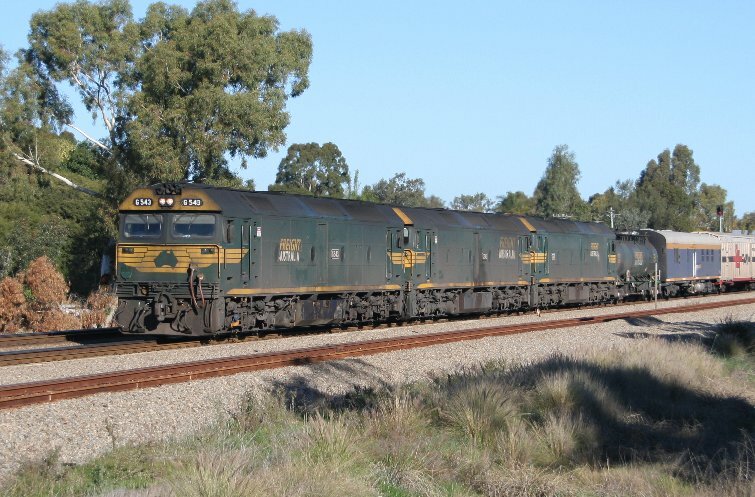 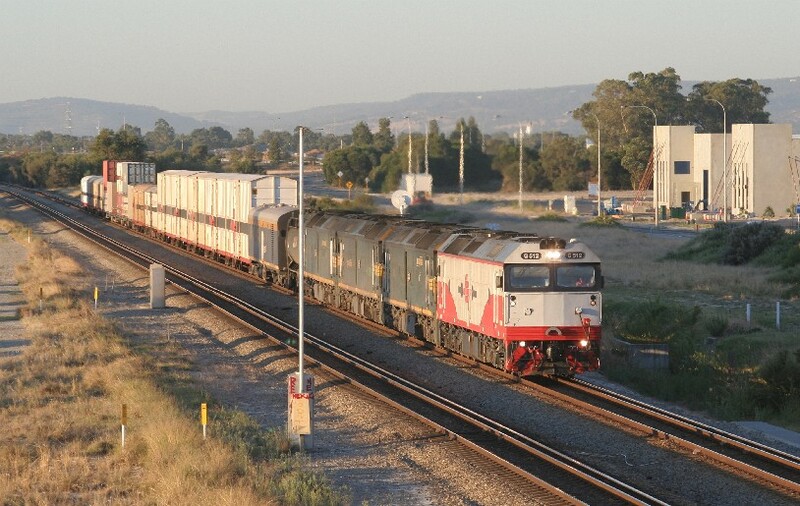 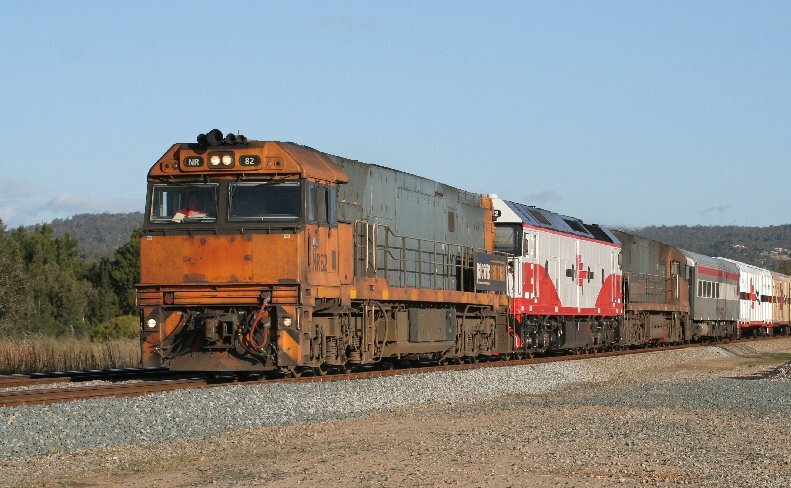 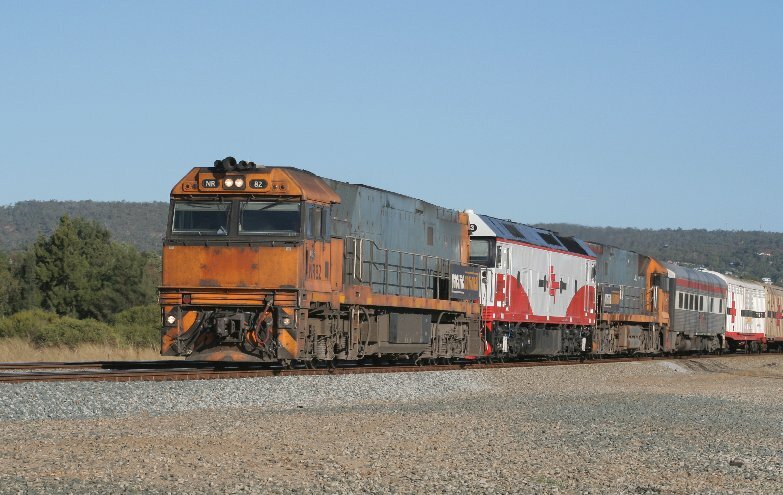 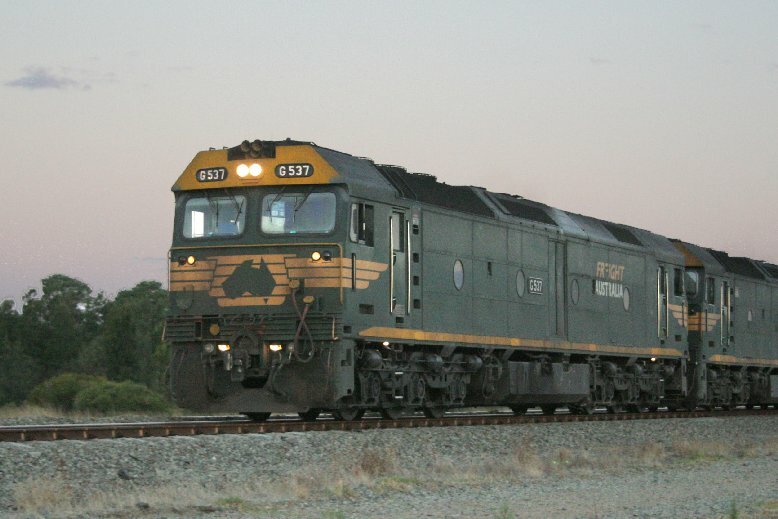 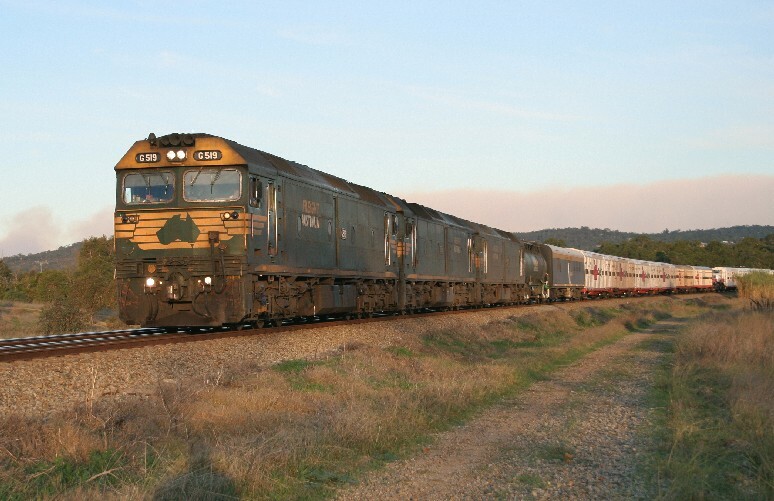 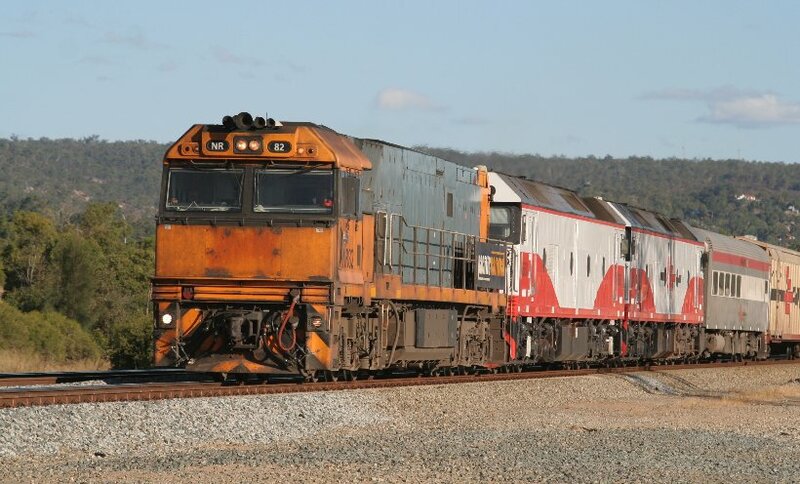 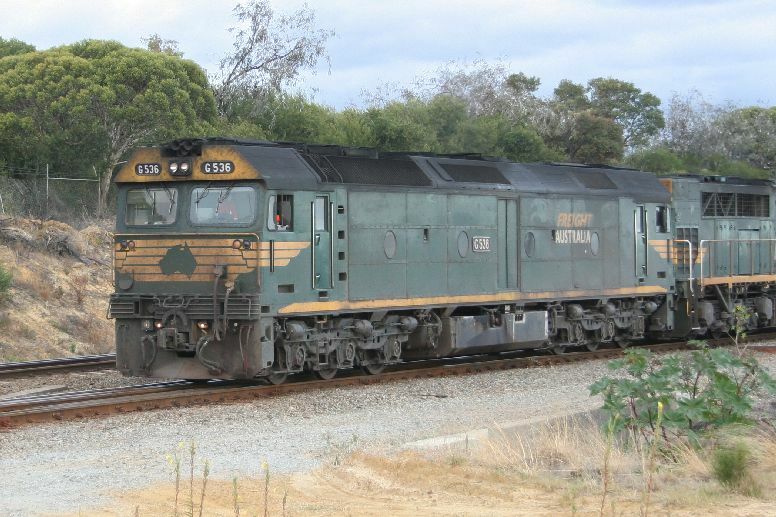 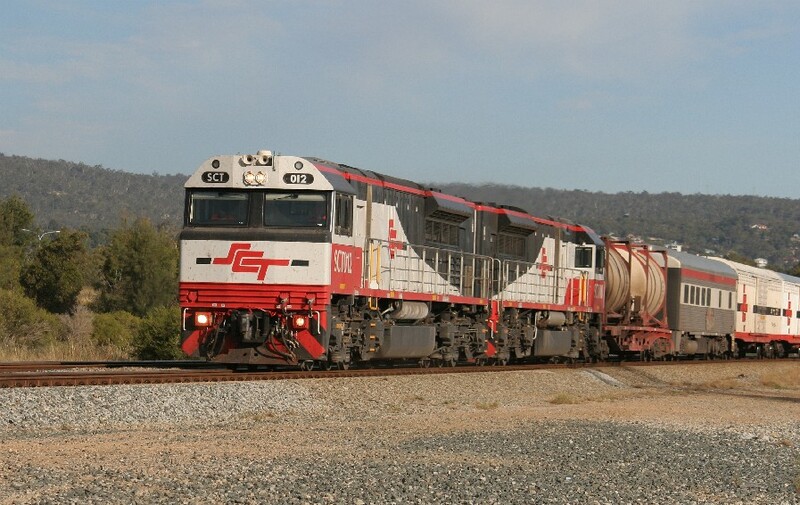 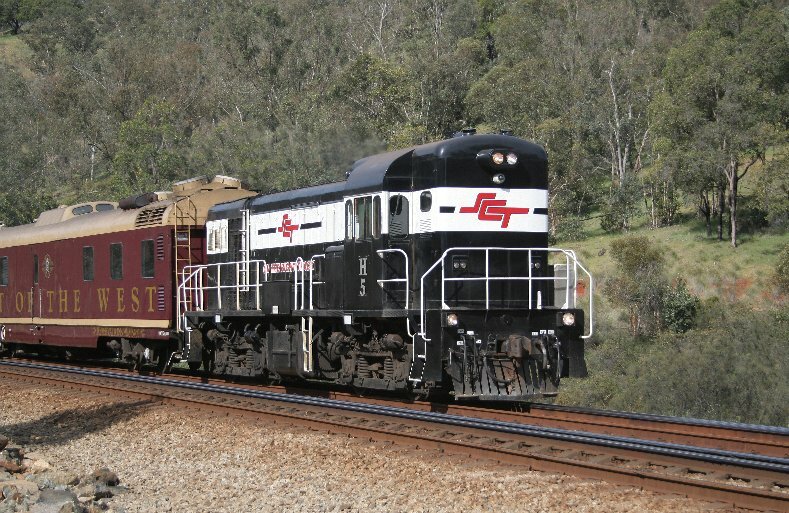 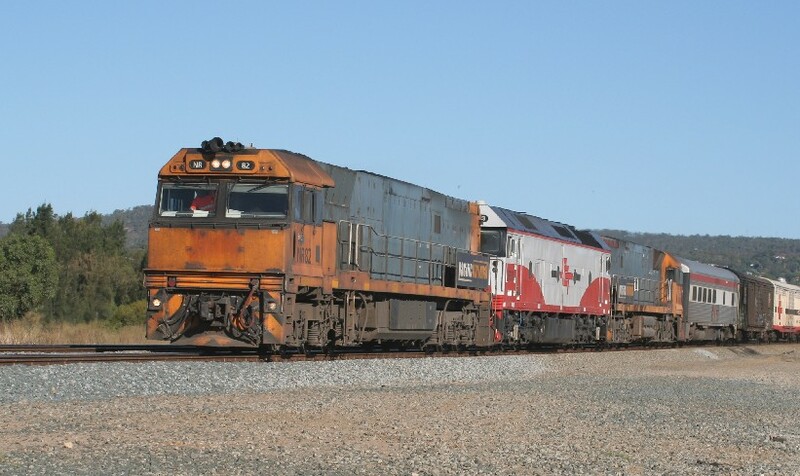 G512/G542/G529/G538 on 6MP9 entering Forrestfield. 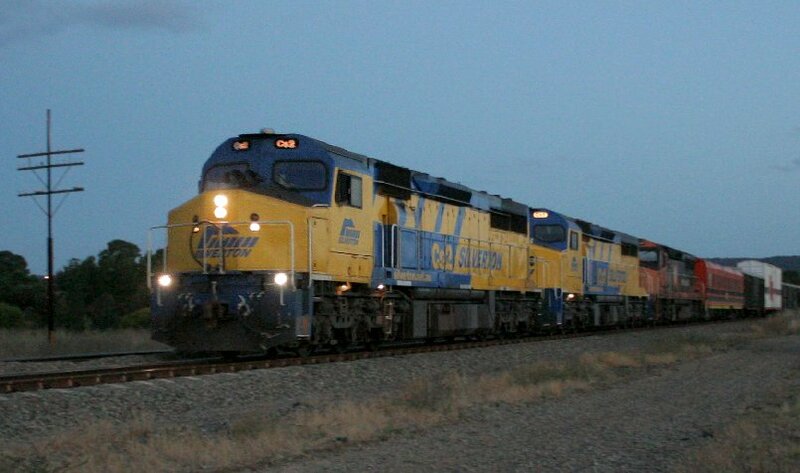 Last train of the year! 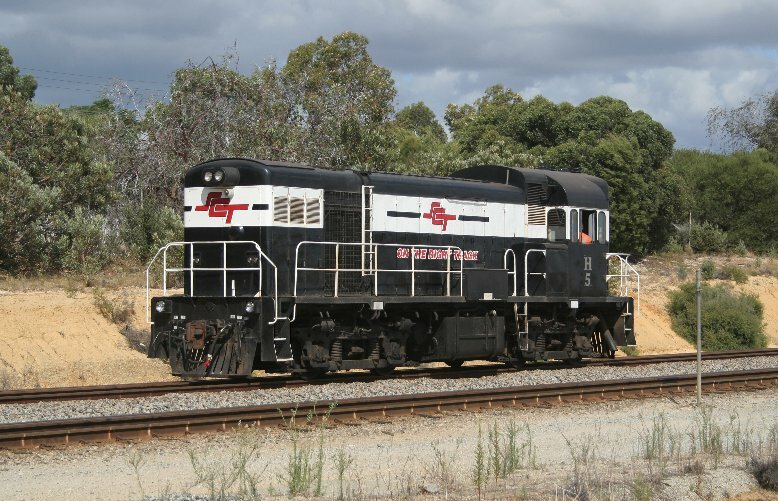 SCT15/CLP13 on MP9 through Midland. 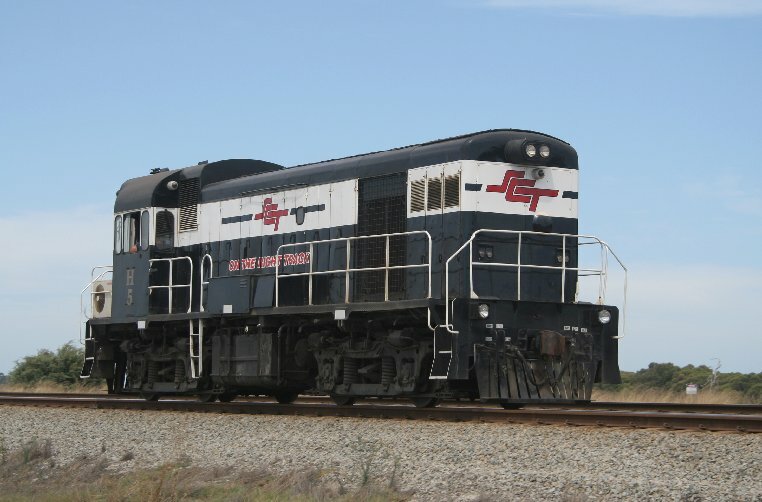 The second unit failed so CLP13 was borrowed from MP1. 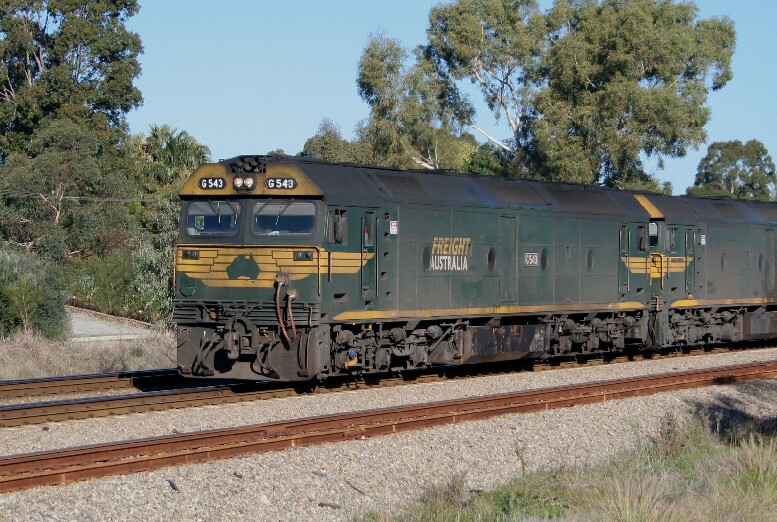 MP1 towed the dead SCT into Forrestfield.